Did Tony Fadell (the founder and inventor of the Nest Thermostat) tip his hand when he recently wrote a story on the future of the Internet for the Wall Street Journal? In the article he discusses how humanity will all be connected, the devices we use will be connected (augmented reality), and that all of the data that exists will be cultivated and turned into more useful information that we can act upon. Has Mr. Fadell offered us a glimpse into what is going on behind the scenes at the notoriously secretive Nest Labs (part of Google)? Is the next Nest product a device to monitor and inform us how much water we use at home? My bet is that it is. 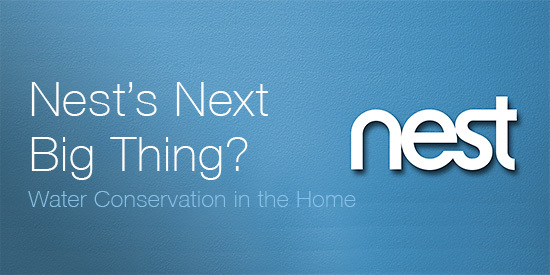 Let’s just pretend for a moment that Nest is creating a “Nest Conserve” if you will. 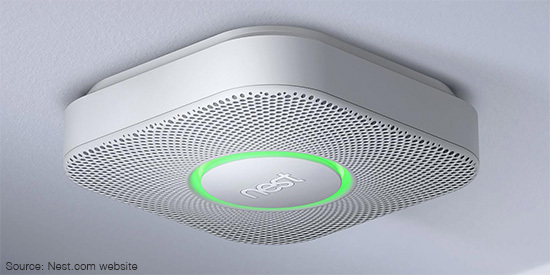 The name would make sense, as the Nest smoke and carbon dioxide detector is called the “Protect.” But where would it go within the home? What could it look like? Would it be a large device for our hot water heaters, or smaller gadgets that attach to the various faucets within the home? In my opinion, the thing that seems to make the most sense is that the Nest Conserve would address the biggest water uses people have: Irrigation (as would be necessary in California where there has been a substantial water shortage); Personal use (whether cooking, cleaning, flushing toilets, showering, etc. ); and Appliance usage (dishwashers and laundry machines are the biggest culprits). Imagine being able to know exactly how much water you use each day, and where you use it most? I would love a way to show my 8-year old daughter how much water she wastes when she takes a 20 minute shower (I mean really, how could such a little person take so long to clean? But I digress). I think the biggest problem with water usage is that people just don’t know how much they use. If they did, maybe they would use less. I, for one, would welcome a Nest Conserve (or whatever they would call it). I have three of the Nest Protect smoke/CO2 detectors and have a couple of thermostats at my office. 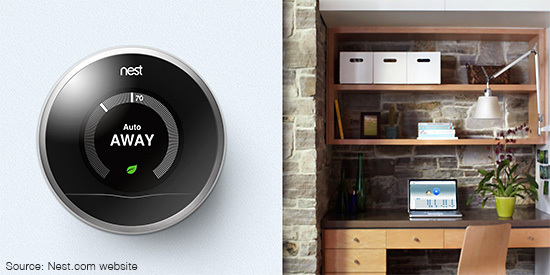 Nest has made complex devices simpler to use, and connected them in a way that makes it easy to understand the data. And that (understanding data to make more informed changes in behavior) is exactly what Mr. Fadell’s calls for in his article on the future.